One of the highlights of the trade show was the presentation of the second INHORGENTA MUNICH AWARD. On Sunday evening, more than 500 prominent guests from the worlds of business, culture, politics and the media celebrated jointly with the industry at the gala event which took place at the Postpalast in Munich. For the first time, the Award was conferred in seven categories. By the new AWARD category “Smart and Connected Watch of the Year”, in which the Swiss traditional label TAG Heuer was the winner, INHORGENTA MUNICH responded specifically to the international success of the smartwatches. 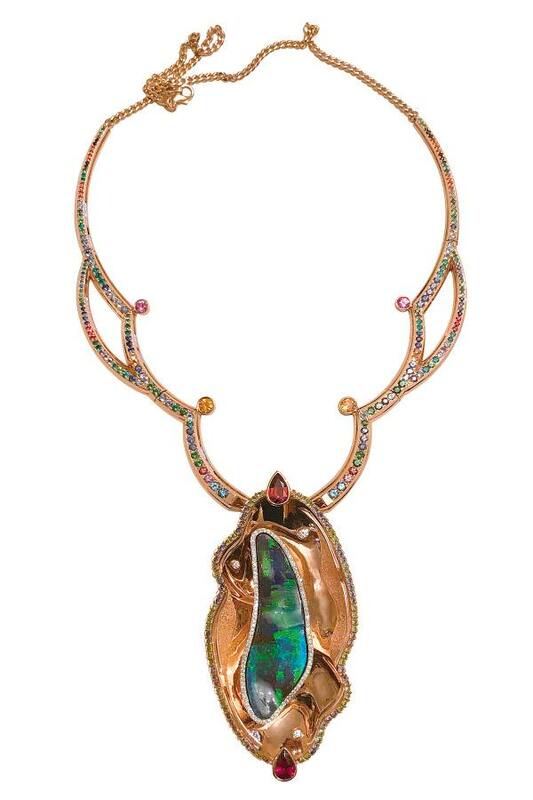 A high-level jury had s﻿elected the winners from more than 100 submissions from nine countries.The coveted audience prize was won by the Spanish jewelry designer Jaime Moreno with his “Tornasol” necklace. As at previous editions, the JEWELRY SHOWS were an optical highlight this year again. Fourteen international models presented ﻿selected pieces of jewelry on the catwalk. Zoe Helali, the muse of Guido Maria Kretschmer, was the face of the show. She wore a pearl creation by Célia von Barchewitz, combined with a dress by the fashion label Irene Luft. For the first time ever, a partner country made a guest appearance at INHORGENTA MUNICH: within the framework of the “Baltic Amber. Tradition & Innovation” exhibition, Poland presented more than 300 award-winning pieces of amber jewelry in Hall C2.